First I heard a loud wing flapping sound and I saw a good-sized bird hovering above. It is certainly larger than a hawk. 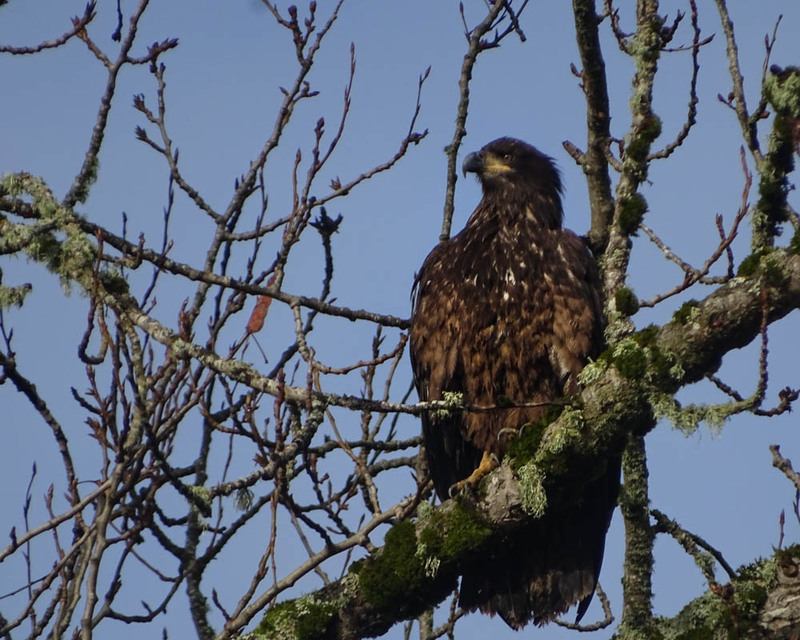 I have seen hawks and bald eagles in the area, but Golden Eagle is the first. Before I participated birding activities, I was not aware that birding is an all-year-round event.